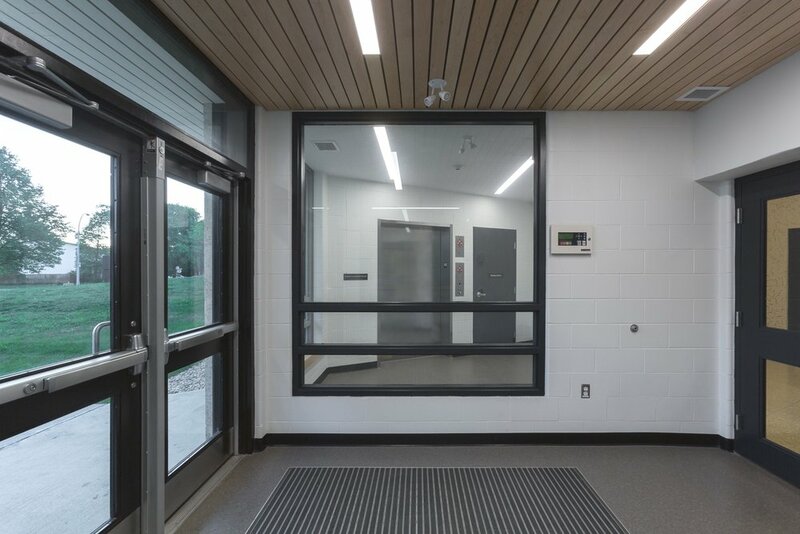 Dalhousie School Elevator Addition | prairie architects inc. 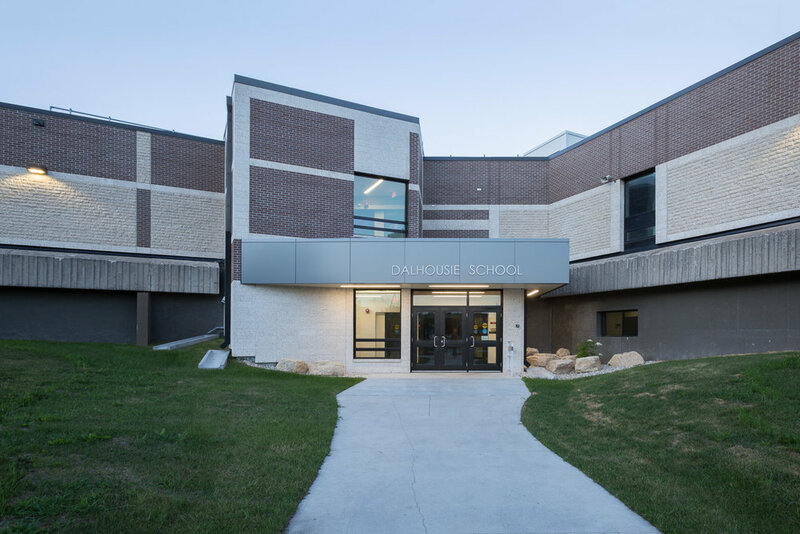 The scope of the Dalhousie Elementary School addition consisted of 2 distinct areas. First, a new 4500 lb capacity elevator was added at the front of the school to increase accessibility for students staff and visitors; which will include a brand new vestibule. Second, an existing Lift in the centre of the school will be replaced. The school was built in 1969 and has 6 distinct levels (2 main floors plus 4 split level floors). The school was never outfitted with a lift or elevator and a lift was added to the centre to the school in the 1980’s. It had outlived its use, but is essential to being able to access all of the split levels in the centre of the school. The addition and renovation will provide an elevator to the main 2 floors and modernize and enlarge the existing lift. The new entry vestibule provides for a new prominent entrance to a once sunken facade.